Confession: I’ve never made a cake from scratch before. Growing up, cake came from a box except for the special occasion cheesecake. I have no idea why I’ve waited so long to make a cake from scratch. Not only is today Mother’s Day but its also Tom’s birthday. His favorite cake is yellow cake with chocolate frosting. So, a few weeks ago I set out to find a recipe for both that would be pretty fool proof. I came across the Fluffy Yellow Layer Cake from Cook’s Illustrated (March 2008) and decided this would be the one. Finding a recipe for chocolate frosting proved a bit more difficult. I came across quite a few recipes that seemed okay, but not quite good enough. And then I found this Triple Layer Fudge Brownie Cake from Cassie Craves. I took it as a good sign that Cassie had made this cake for her husbands birthday. This morning, I woke up early and began to get the ingredients together to make the cake. Then I started to wonder if it was really a good idea to make a cake from scratch for the first time. I crossed my fingers and moved on. 1. Preheat the oven to 350. Spray two 9 inch wide by 2 inch tall cake pans with cooking spray. Line the cake pans with the parchment paper. Spray with cooking spray again. Sprinkle the flour into each pan and shake until coated. Dump out the excess flour. 2. In a large bowl, whisk together the flour, baking soda, baking powder, salt and 1 1/2 cups of the sugar. 3. In a medium bowl, whisk together the melted butter, buttermilk, vegetable oil, vanilla and egg yolks. 4. In the bowl of your stand mixer with the whisk attachment, add the egg whites. Beat on medium high speed until foamy. Add the remaining 1/4 cup of sugar and beat on high until stiff peaks form. This took about 4 minutes on speed 6. Transfer the mixture to a bowl and set aside. 5. Clean out the bowl of your stand mixer and then add the flour mixture. On low speed (2) add the butter mixture and mix until well combined. 6. Using a spatula, gently stir 1/3 of the egg whites into the batter. Then add the remaining egg whites and gently fold until no white streaks remain. 7. 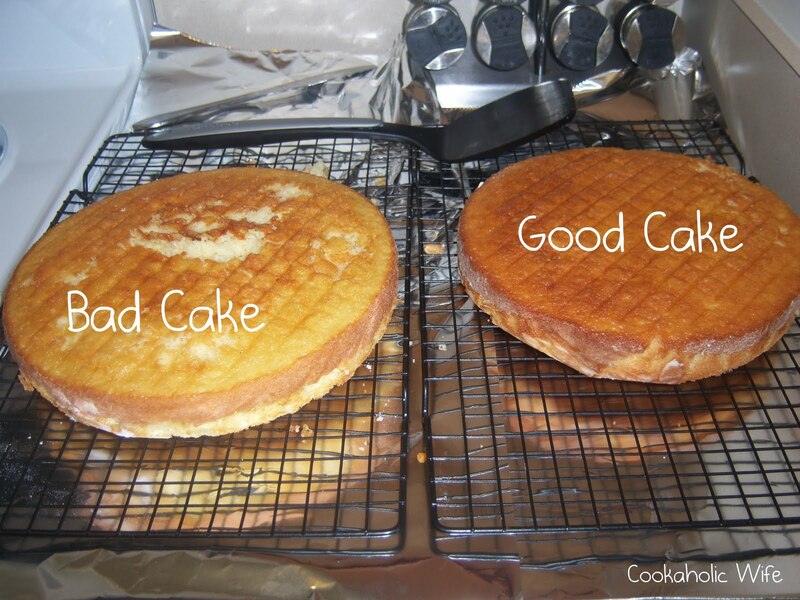 Divide the batter evenly into both of the prepared cake pans. Tap the pans against the counter to remove any air bubbles. 9. Transfer the cakes to wire cooling racks and let cool for 20 minutes. Loosen the cakes from the sides of the pans and then flip onto the wire racks. Peel off the parchment paper. Let cool another 10 minutes. 10. 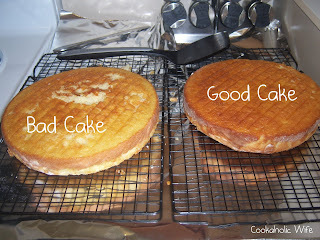 Flip the cakes again and let cool completely, 1 1/2 to 2 hours. Note to self: when your hands and your gut tell you that the cakes aren’t ready to be turned out onto the racks – LISTEN! The recipe says to cool them for 10 minutes before flipping and putting on the racks. I did this, ignoring that they still felt pretty warm, and this is what happened to one cake. At first I freaked out a bit and then realized that it could easily be the bottom layer of the cake and at least now I didn’t have two perfect cakes to attempt to frost. 1. 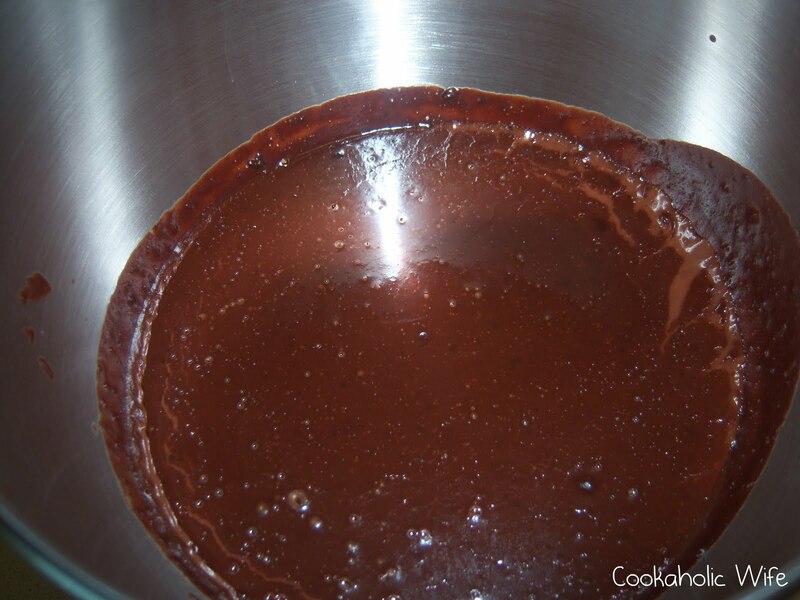 Melt the chocolate in a medium saucepan over medium heat. Gradually stir in the heavy whipping cream until combined. 2. Bring to a gentle boil and then boil and stir for one minute. Transfer the chocolate mixture to the bowl of your stand mixer and refrigerate for 2-3 hours. The mixture will resemble pudding. 3. 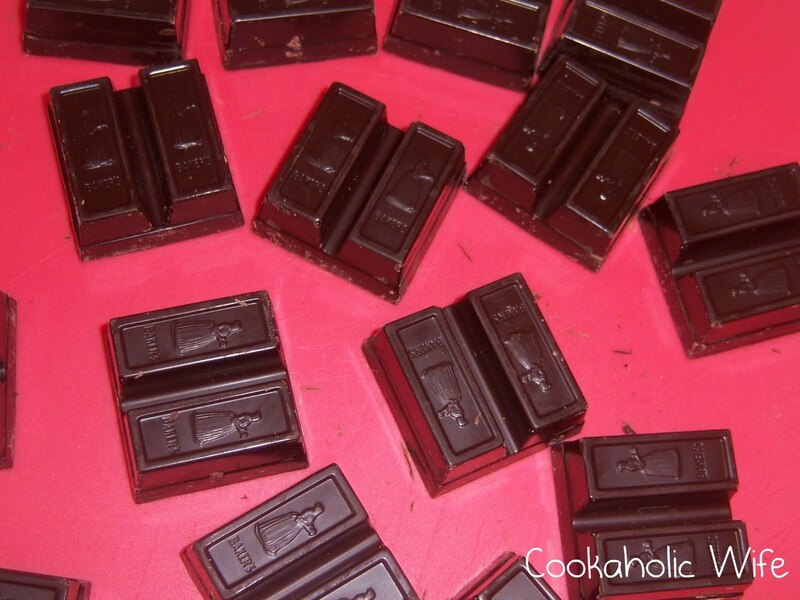 Attach the whisk attachment to your stand mixer and beat the chocolate until soft peaks form. 4. Decorate the cake with the frosting and refrigerate until ready to serve.You should have some extra frosting. The result? I was pretty impressed with the way this turned out since it was the first cake I made. It stayed together, the frosting went on relatively nicely and it wasn’t too dry.